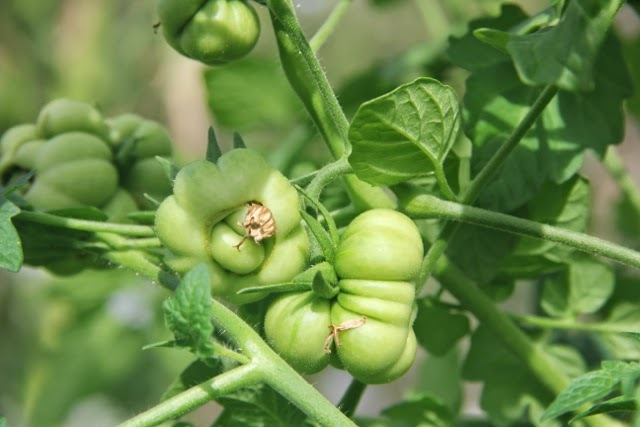 A while ago I heard of an ancient Peruvian heirloom tomato that did not grow round or oblong like most tomatoes, but grew segments that one could separate like a mandarin or an orange. 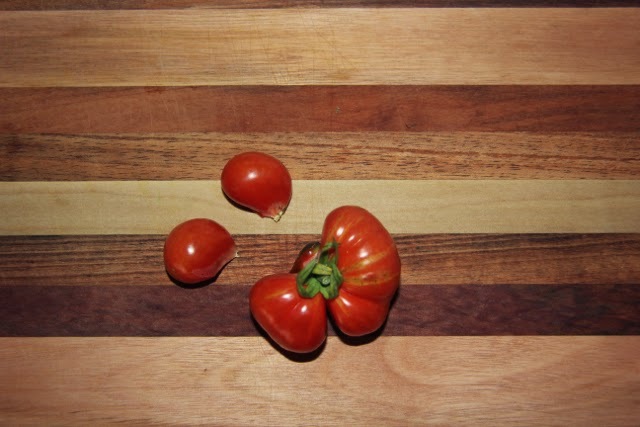 This tomato could be eaten one segment at a time without the use for a knife. This sounded intriguing, I wanted to see a tomato like this. After some research I found that it was called "Reisetomate". I saw some pictures of it and it did indeed have segments like an orange. The fruit looked amazing but I was concerned it may be just a novelty tomato. I have no time for novelty vegetables so I wanted to know more. Apparently it is an incredibly rare and ancient heirloom variety. This variety may actually predate the Spanish conquistadors going to South America. There are unsubstantiated stories of this variety being used by the Incas when they were traveling and tearing off a segment at a time to eat. 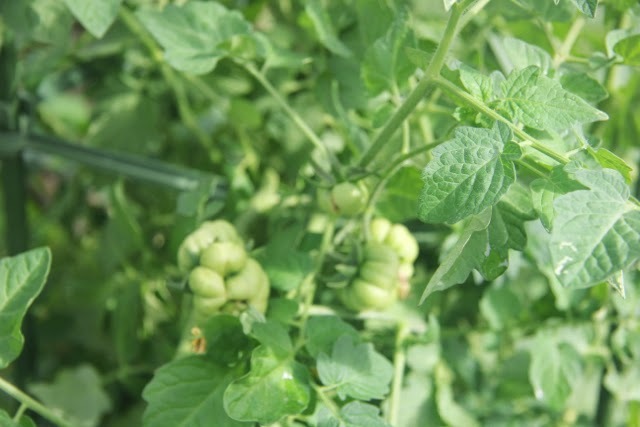 The name Reisetomate is apparently German and means "traveler tomato" eluding to the fact that this variety is carried on trips to be eaten without the use of a knife. I also hear that this is one of the varieties of tomato that the Amish grow, if this is true then this variety is a no-nonsense productive variety. I became more curious and wanted to grow one. 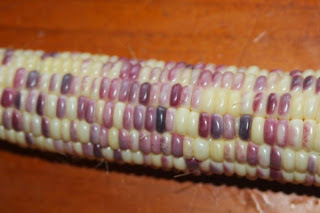 I wanted to try this variety, but they are so rare that it is difficult to find anyone who has seeds. Tomato seeds can not be imported into Australia without huge trouble and expense so I had to find somewhere local to purchase seed. After searching I found only one place which had Reisetomate seeds for sale in Australia. There were not even any dodgy ebay sellers which I had hoped to see as they can drive the price down a little. The one company that sold them was demanding an outrageous price for a small number of seeds and was a company which I have had a lot of trouble with in the past. I rarely buy seeds anymore so there is a chance that company has lifted its game. I did not know if the risk was worth it and was about to give up on trying to grow Reisetomate tomatoes. Luckily a friend of mine kindly bought me the seeds as he knew how excited I was about this variety. I waited for weeks and the seeds never arrived. Several weeks later my friend contacted the company and they then sent out the seeds. I planted some seeds and kept some in case things went wrong. Tomatoes are simple to grow from cuttings so I figured planting a small number of seeds would be ok as I could still get a large number of plants by taking cuttings. The plants were growing well and were about to flower, then the heat of summer hit. 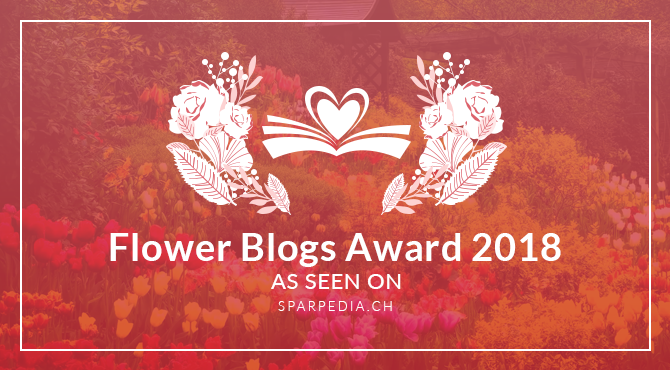 The flowers are not like an ordinary tomato flower, they an odd and multiply fasciated flower, some with exposed stamens and pistils. Like many heirloom tomatoes this variety will cross pollinate with other tomatoes. Apparently this variety is notorious for cross pollinating with other tomatoes so I was careful to plant it in a separate vegetable garden to my yellow pear tomatoes. This is one of the positives to having two vegetable gardens spaced so far apart. The plants all flowered and grew well, but the temperature was too high and the flowers withered and died. Apparently temperatures in the mid 40's denatures tomato pollen and prevents fruit set. Cooler nights may have helped overcome this, but the nights don't always cool down out here over summer. The plants grew about 5 or 6 feet tall and probably would have grown a lot taller if they had more water, protection from the heat, and better soil. Many of the stems are covered in small roots searching for soil and anywhere the stems touched the ground they firmly rooted. After a little over 9 weeks of daytime temps in the 40's the weather cooled down (to the high 30's) and the plants started setting a lot of fruit. The tiny green fruits looked very odd, kind of like weird little green brains, and gave me a good idea of what the fruit would look like when it ripened. When the first fruits began to ripen I was perplexed. 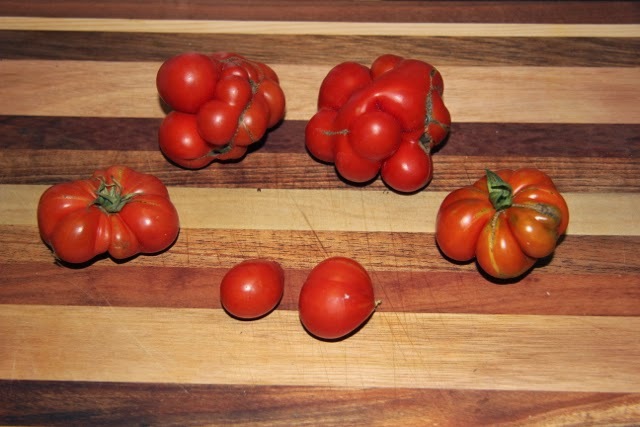 Each fruit is like a cluster of small tomatoes fused together with many odd lobes. The first set had one or two lobes on each fruit that looked like it was rotten so I did not know what to do. After picking them I found out that the rotten looking lobes had been infected by fruit fly. It was simple to remove and discard the infected lobes, then the rest of the fruit was unharmed and fine to eat. After the first few I got on top of the fruit fly and all of the tomatoes were fine after that. These tomatoes have provided large yields, far larger than any other variety I have grown. I can not imagine how productive they would be in a more mild climate. I have read some seed sellers claim they produce 1.1kg per plant and others claim over 25kg per plant, mine produced somewhere in the middle. They are the highest yielding variety of tomato I have ever grown. Perhaps next year I will weigh all the fruit from one plant to find out for sure. They seem to survive through some light frosts with no issues but I am guessing the heavy frosts will kill them. I am told in climates without frost they can be a short lived perennial which survive and produce for half a dozen years. I am also told that without frost the stems can get as thick as your wrist after a few years and can only be cut down with a chainsaw. After growing these under difficult circumstances and seeing how strong and determined they are I believe this is entirely possible. We use these tomatoes fresh pulled apart in segments. I love them like this and it is my favourite way to eat them. We also use them cooked in any dish that requires tomato, they seem well suited to this and bring a depth of flavour and complexity to a dish that many tomatoes lack. We slice them for sandwiches and the like, they taste amazing but their odd shape makes them less than ideal for this purpose. 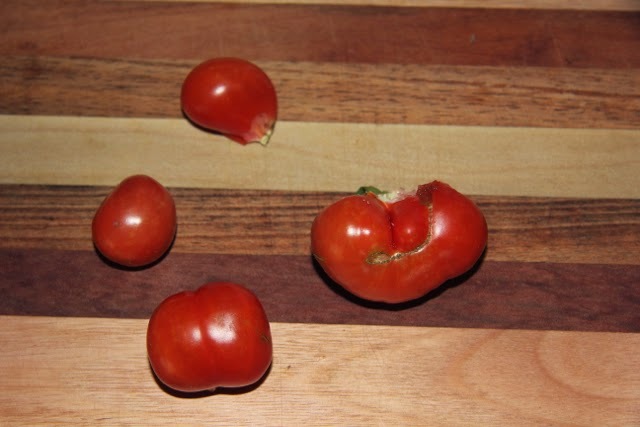 They can be pulled apart and put into salads like a cherry tomato. Being so intense and full of flavour I assume that they would make a decent sauce or paste but I have not tried this myself so can't be certain. The question I keep asking myself is why these are so rare. Many things are rare because they are not worth having or are too new. Reisetomate tomatoes are older than any other variety of domesticated tomato that I know of, they taste amazing, yield tremendously high, apparently have disease resistance (I do not have tomato diseases so can only go off what I have read), and look great. I can only assume their rarity is due to being unfit for mechanical harvest. These plants show a lot of diversity of their fruit. On one branch of a plant you will have some fruit that split into perfect segments as well as some fruit which does not split as perfectly. Apparently this is mostly due to growing conditions rather than genetics. I only save seed from the plants which have most of its fruit which splits cleanly and evenly into segments, I only save seed from the best fruits from those plants, I figure this is worth doing even though I don't know how heritable this trait is. I do sell Reisetomate tomato seeds, I have them listed on my for sale page. May this be a reisetomate later on? I looked at your blog, I doubt that they are Reisetomate tomatoes. The flowers should be fasciated (multiple/joined/odd looking) then the unripe fruit should show at least some lobes. I have never seen any completely round like that on my plants. Reisetomate has a bad habit of cross pollinating with other varieties, that may have happened there or they may just be a different variety. I would still grow the plant and see, it may turn out to be some other variety that is still very nice. Let me know how it turns out. Thank you very much for your fast answer! Of course I will continue to grow the tomato as it is and I will keep you informed. 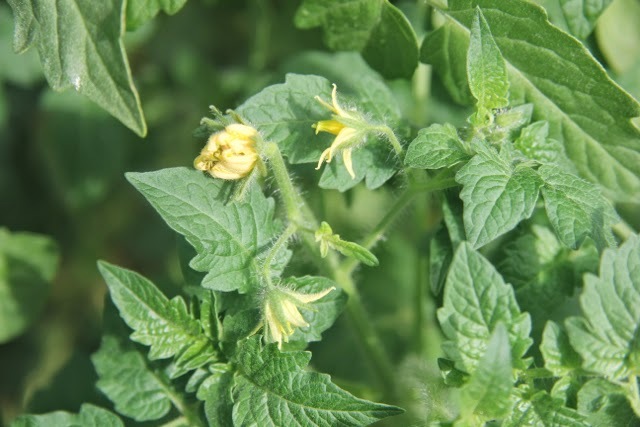 I love the plant as it is now as I love all my plants, but still I am a bit disappointed and have now ordered seeds of Reisetomate from two different and trustworthy sellers of Tomato seeds. Next year I can try more than one. Thanks again and you made my mouth wet talking about Riesetomate!